With winter weather on the horizon, it’s important to know that your home is ready for the harsh Midwest winters. One of the last things you want to see this winter is an ice dam forming on the edge of your rooftop. What is an ice dam? An ice dam is a block of ice that forms at the edge of a roof and prevents melting snow from draining off the roof. The water that backs up behind the ice dam can leak into your home and cause damage to walls, ceilings and insulation. Here are a few things you can do this winter to decrease the possibility of ice dams forming on your rooftop. Ice dams cannot form without snow. By keeping your roof clear of excessive amounts of snow, you will drastically cut down on the possibility of ice dams forming. By removing the snow from your roof, you will not only eliminate the potential for ice dams, but you will also remove extra weight that snow can add to your rooftop. 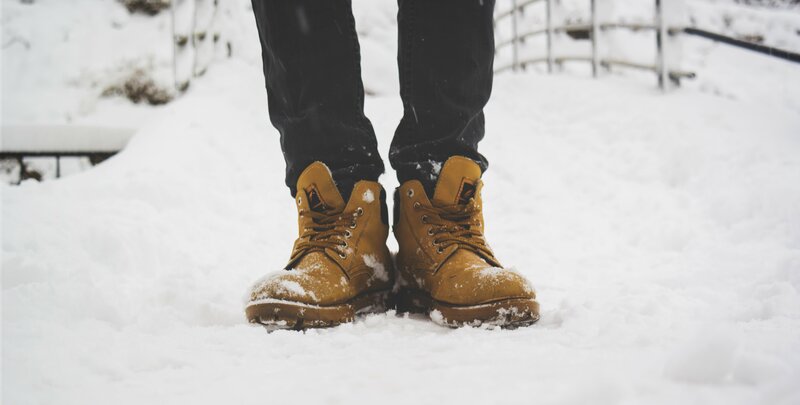 It is estimated that one square-foot of snow that’s one inch in depth weighs roughly one pound. Wet snow weighs even more. Imagine how much extra weight your roof is holding after a big snow storm blows through your neighborhood. It can add up fast! If you live in an area that receives a heavy snow storm, or a few, this year, it is a good idea to keep an eye on how much snow accumulates on your roof. If you see that you are accumulating snow on your roof, but don’t see any ice dams forming, you may still want to consider removing the snow. If your roof suffered any damage earlier in the year that was not addressed before the winter, heavy snow can cause leaks to form or even the roof to collapse in a compromised area. Depending on how harsh the winter months are and what kind of condition your roof was in before the winter months hit will determine how often you should be removing snow from your rooftop. How Do I Remove Snow from My Roof? When it comes to removing snow from your roof, safety is key! A roof rake is a great tool to have to move snow off of your roof. If you live in a home that has higher areas that will need your attention, be sure to purchase extra extension poles so you can reach those hard to get places. Once you have your roof rake out, you will first want to clear the snow off the overhang of your roof. The overhang of the roof is where most ice dams form. From there, work your way up, pulling off as much snow as you can without damaging your shingles, gutters or yourself. If you find that there is more snow on your roof than you can comfortably handle, there are companies that specialize in shoveling excess snow off of rooftops. This may seem like a simple task, but it is best to leave it up to the professionals who have the proper tools to get the job done right and in a safe manner.